Skype is the latest company to sign a partnership deal with Nokia. The Finnish phone maker announced plans to bring Skype on its range of mobile computers. Under the terms of the agreement, the Nokia Nseries will be the first Nokia models to have Skype as a top feature. 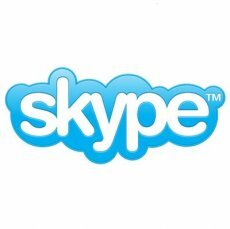 "Making Skype available everywhere through mobile devices is essential to fulfilling our vision of ‘enabling the world’s conversations’," said Scott Durchslag, Skype’s Chief Operating Officer. "Collaborating closely with Nokia to preload and integrate our software onto their devices will benefit the many Nokia customers who already use Skype, as it makes Skype easily accessible and simple to use on the go. It will also bring Skype new users who love Nokia’s Symbian S60 experience." Nokia announced that the first handset with integrated Skype will be the Nokia N97, scheduled to arrive during the 3rd quarter of 2009. Interesting enough, Skype will also be part of the address book of the Nokia N97, enabling users to see when Skype contacts are online, as well as instant messaging. Nokia N97 owners around the world will also be able to use 3G and WLAN to easily make and receive free Skype-to-Skype voice calls, in addition to low-cost Skype calls to landlines and mobile devices. 3G iPhone Too Slow? Blame The Carriers!